Dennis Homes first began playing guitar at the age of 14 and played in a couple of amateur groups before switching to bass guitar and joining his first semi-pro group in 1964 at the age of 17. The group was called The Ricochets and played regularly in pubs in and around North and East London. They mainly played rock n’roll and the latest pop songs, then in1966 after a few personnel changes they evolved into a soul band with a line-up of guitar, bass, drums organ and two saxophones. The following year Dennis left and joined his first professional band, The Inhibition. They played mainly soul music and performed in clubs and dance halls. It was in the year 1967 that psychedelic music was making quite an impact and in between gigging with his band Dennis would often visit some of the London clubs where bands such as Pink Floyd were playing. At the same time he would also regularly visit lots of folk clubs and the influence of both psychedelic and folk music was inspiring him to write songs in a very different vein. It was also at this time that he started to learn to play the vibraphone. In early 1968 The Inhibition were signed up by a record producer and released a single on the Island label called Tonapah. At the request of the producer they changed their name to Santos Morados who thought that it would be more in keeping with the song. 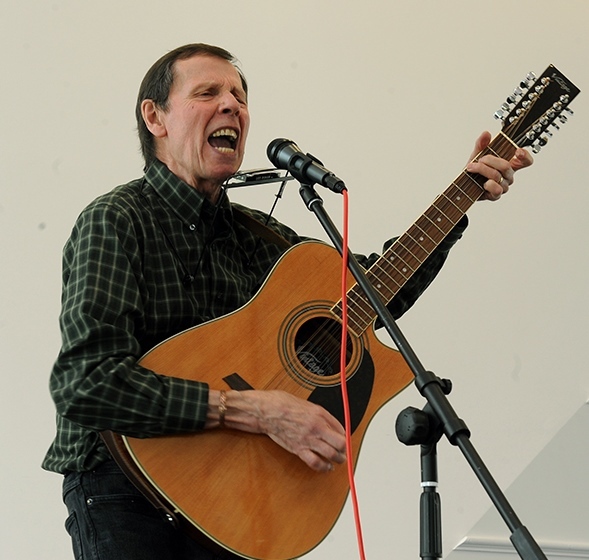 Dennis, however, was more interested in performing his own material and decided to leave the band and form his own group switching from bass to acoustic guitar. He formed Synanthesia in the summer of 1968 which was a multi-instrumental trio consisting of himself on vocals, acoustic guitar and vibraphone; Leslie Cook on vocals, acoustic guitar, mandolin, violin and bongos; and Jim Fraser on concert flute, alto flute, nose flute, oboe, alto sax and soprano sax. They only played their own material written either by Dennis or Leslie Cook. They soon started performing regularly all over the country, mainly on the university circuit but also at some of the country’s leading clubs such as the Marquee in London and Mothers in Birmingham. They also played gigs at John Peel’s Midnight Court which was held at the Lyceum Ballroom in London and at All Saints Hall, Notting Hill, another mecca of psychedelic music. They performed alongside many top acts of the time such as Pink Floyd, King Crimson, Fairport Convention, Steel Eye Span and Bonzo Dog. In September 1969 they released an album on the RCA label called Synanthesia. They also recorded another of Dennis’s Songs called Shifting Sands which was originally intended as a single. For this track they were augmented with a string orchestra that was arranged by David Palmer, the keyboard player from Jethro Tull. However, shortly after recording this song Leslie Cook decided to leave the group as he wanted to pursue a career in journalism and the band split up. Although Shifting Sands was never released as a single it did appear on a compilation album on RCA called 49 Greek Street which featured many acts that had played at the legendary London folk club Les Cousins. Click here to hear “Shifting Sands” by Synanthesia with Dennis on lead vocals and guitar. Dennis carried on playing mainly at folks clubs, mostly solo but occasionally with other musicians. In the latter part of 1970 he started a club called The East London Arts Lab where musicians, singers, poets, and actors could perform. This venture led to Dennis becoming quite interested in the theatre and he then joined a few theatrical groups and wrote songs for several productions. In 1973 he teamed up with a playwright and wrote the music for a revue called East of Aldgate Pump which was staged at a London Theatre, The Hoxton Music Hall. After this production he stopped performing for about 18 years. He still played guitar and wrote the occasional song, but mainly as a hobby and for a while he taught guitar and music at a local music college. It was then in the early nineties that he decided to go back to live performing and he now plays at clubs on a regular basis and also at the occasional music festival. 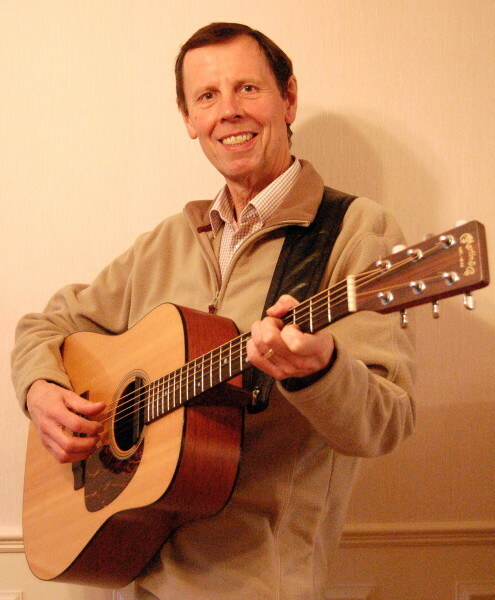 He has written over 400 songs and has recorded numerous radio broadcasts for both BBC and local radio stations. Since then Dennis has also released three solo albums, Kites and Rainbows in 2008, We May Never Walk This Road Again in 2014 and Sunset to Song Rise in 2017.